Ed Musterman made today’s award to Rick McKernan for all the work he continues to do for the club. Rick McKernan reported that with Leslie Parisio as the “driving force” a select crew of the Soap Box Derby team cleaned up the clubhouse, washed and painted the walls after returning the derby cars to their home on the second floor of the clubhouse. Also, in Akron this Saturday, July 21 the Soap Box Derby will run its annual race. Rick will be attending this year’s event. Anyone interested in viewing the race can watch it live streaming on the Soap Box Derby website for a live feed of the races. Carl Scott contributed four quarters to the pig today: one for the recent pictures in the local paper, a second in memorial for Tina the Turkey, and a third and fourth for the change in leadership of the St. Louis Cardinal from Coach Mike Matheny to Mike Shildt. Carl explained the reason he continues to contribute to the pig/childhood cancer fund and will continue to contribute to any cancer fund is because several years ago his father died of cancer. Jake Jolley reminded member the games start this weekend. The Downtown Optimists tent will be open from 9:00 to 5:00 on next two Sundays, July 22 and July29. The two shifts each day at 9:00 am to 1:00 pm and 1:00 pm to 5:00 pm. There are still a couple of openings on the afternoon shifts for both Sundays. Jake has T-Shirts for late volunteer in large and extra-large. Jake distributed T-Shirts to those volunteers present. This year’s color is a very bright lime green. Last week’s volunteers packaged chicken nuggets. C.O. Scheffer reported our tree order of Fraser firs is progressing with a new vender. Given the number of grower who are now out of business and limited supply of Frasers, there will a cost increase of $3-$11.00. The club can expect 675 Frasers: 40 – 9’-10’, 100 – 8’–9’, 275 – 7’-8’, 200 – 6’-7’, and 65 – 6’. We will not be getting any Canaan Firs this year. Information on Balsams and roping will come later. Mary Dewey is looking for help with the cooking at the Indian Hills Park Cook-Out. The event takes place at the park on Saturday July 28. Optimist Convention News: The EMO Dist convention in Cape Girardeau will be held Aug 11th & 12th. In February 2019 the Kansas, Eastern Missouri and Western Missouri chapters will hold a combined conference in Kansas City. In August 2019 Columbia will host the Eastern Missouri conference. Oratorical Contest: Rick McKernan suggested our club hold a serious discussion on our participation on the annual Oratorical Contest. Other area Optimist clubs have “bailed” from their support. Columbia Public School teachers don’t provide any encouragement other than posting a notice for this event that provides a $22,000 award at the international level. Mary hopscotched her way to Ottawa, Canada to attend this year’s annual conference (planes, no trains but an automobile). She flew to NY Westerfield to change planes for May Hatfield Airport then rented a car to drive to Ottawa. She has not had time to organize a presentation since her return but promises pictures and a video on the conference at a later date. The Convention had a large number of participants from the U.S., Canada and the Caribbean. The Jamaican delegates brought their robot that made its presence known by interrupting the opening speaker. Ms. Canada, an Optimist Member attended all the plenary sessions. 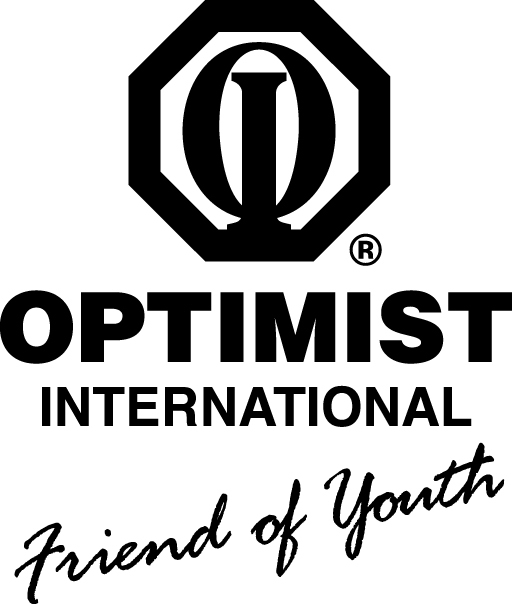 The Western Missouri chapter received an award for its programs and the Eastern Missouri Optimists had a member nominated for the International Board. The motivational speaker, Sebastien Sasseville, a diabetic gave a very inspirational keynote address on Optimism by recounting his cross-Canada run. This was followed by a sea to sea luncheon with a menu of fish, beef and other food products of Canada. Mary found the new presidents workshop very helpful to her in navigating our club through the coming year. She also got some good ideas from other workshops on recruiting new members: nothing on goats but a monthly evening meeting replacing one of the noon meetings and fishing events for “new members wanted” meetings were found to be successful for some of the clubs. Town meetings were also discussed as possible recruitment activities. All in all, Mary felt this was a good convention. She learned a lot, had fun and found time to visit the Mall attached to the Convention Center.